It’s not really a secret to say that every business can benefit from an effective pricing strategy. However, in order to identify which strategy is right for a specific business or industry and set the right (some would say reasonable) price in a highly competitive market, you need to be able to utilize every resource at your disposal. That, for the most part, means performing a price analysis. This post will show what it can do for a business in order for it to succeed. Basically, every purchase requires some form of effective cost assessment. What price analysis does is, in broad terms, evaluate product options without separate cost elements and proposed profit. This includes marketplace competition comparisons to ensure the best possible price. For instance, if there are three competitors competing for a specific market, a price analysis would include a detailed overview of the benefits of each competitor’s offering relative to the quoted prices. We will break down each element further down so don’t go just yet. One of the most effective ways to analyze your prices is to compare the past quotations for the same product or service to determine the viability of the current quotation. The period for examination can be up to two years or as long as there is a price history (if there is any). Reflecting on the previous pricing is especially helpful when there are various suitable and similar options in a purchase decision. For instance, when the product or service is available on the open market and there are competitor alternatives similar in benefits, a price analysis will highlight the result the best (often lowest) price. As we hinted a few lines before, in order for this method to work, a business has to have a prior price history. If it’s entering with a brand new product, it can draw on competitor offering, which is incidentally (or not) the next entry on the list. Using competitive pricing is often considered one of the best ways for validating price. In terms of comparing competitive bids to get that price, the results are equally rewarding. Just by simply asking different suppliers for their prices of the same product or service, you can determine if a specific price is fair and reasonable. However, things get a teensy-weensy more complicated than that because, in order to truly be competitive, total cost analysis must be included. As you already know, the lowest bid doesn’t necessarily mean the lowest cost. The key here is the analysis of total cost of acquisition, meaning you have to account for all those costs that go into the making of your goods. The total cost of acquisition is the actual cost that must be compared with competing bids in order to make your price competitive and affordable. Published price provide a starting point from which further price changes may or may not be made before setting on the final price that the customer will. At the retail level, published price may serve as the manufacturer’s suggest retail price or MSRP, as it’s known in it abbreviated form. This method is best suitable for goods that are similar enough to products or services widely available to the general public. Subsequently, these goods have prices that appear in a published price list. However, when comparing these price lists, a business needs to consider standard industry discounts for their offerings. For example, offering standard discounts to customers buying above a particular amount or quantity volume. In some circumstances, prices are regulated by law. When this occurs, there is usually a pronouncement in the form of periodic rulings, reviews, or similar actions issued or authorized by a governmental body that sets a price. These government-mandated prices include both minimum and maximum prices set for specified goods. Known as price controls, those set maximum prices are called price ceilings, while price controls that set minimum prices are called price floors. An example of government prices would be rent controls on properties like the system of rent controls in New York in the United States, introduced to help maintain an adequate supply of affordable housing. In order to show you how to correctly apply a price analysis in the pricing process, here is a practical example. using pricing intelligence tools that do most of the work for you, once you set the necessary parameters and guidelines. The process is mostly automated and quickly covers hundreds of thousands of items similar to what you are trying to price. Alternatively, you can start by browsing the net for various shopping sites to get an idea of the market and published prices. While this is certainly cheaper variant, it’s also time-consuming and provides only superficial knowledge. The DIY approach also includes directly contacting your supplier or manufacturer for a suggested retail price. A better option is seeking advice from industry professional to get a complete sense of what customers pay for the same item. This can help you identify if there have been any escalations in the price. Once you implement the insights you gained from your research, you can assess whether a specific product or service has a fair price and if necessary, make corrections. It’s important to remember that price analysis is used by both businesses and consumers to evaluate the considered goods. While the business analysis can be fancier by using software tools for faster and wider comprehension, consumers have their own little calculations that ultimately decide whether they’ll pay for your goods or not. That is why prices are important – they provide the key to understanding market behavior. 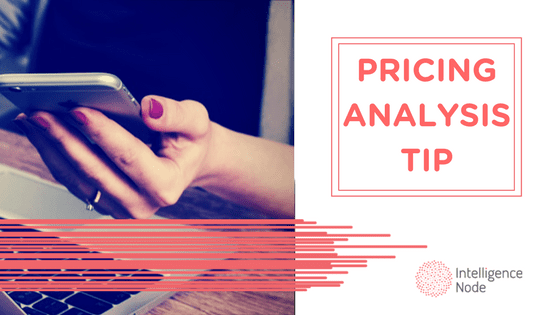 In order for them to be most effective, you can and should utilize price analysis. It shows that the proposed price is reasonable in comparison with current or recent prices (if they exist) for the same or similar items. Price analysis also demonstrates that the prices are adjusted to reflect various changes in the market and economic conditions, as well as quantities that are a result of an adequate price competition. 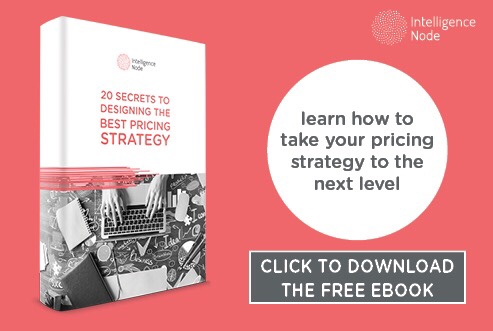 If you found this useful and you’d like to learn how to take your pricing strategy to the next level, we invite you to download our free 20 secrets to designing the best pricing strategy eBook. Click below to take advantage of this opportunity. 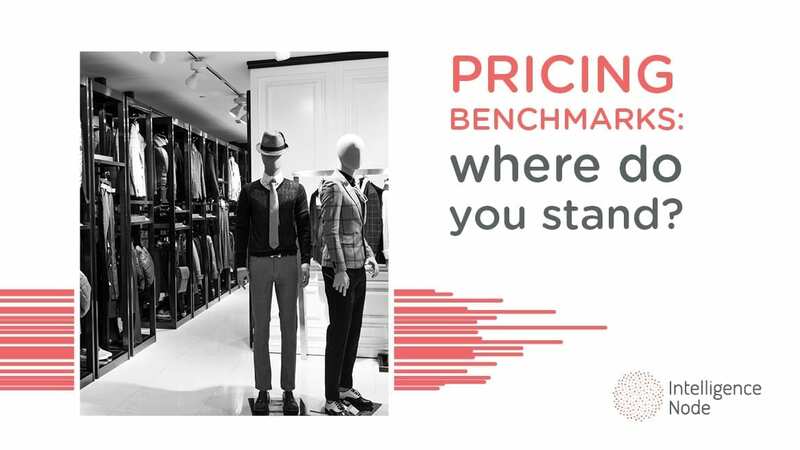 Pricing Benchmarks: Where Do You Stand?